If you are interested in joining Animal Evac NZ, your need to register your interest at SeekVolunteer. From there we will be in touch and advise you on the next step, which is to attend one of our foundation courses which are mandatory for all volunteers. In the meantime, we recommend you learn more about animal emergency management at this blog. Depending on your existing qualifications and experience, you may also be required to attend additional training . We are after people who are passionate about doing the right thing to help animals in disasters and emergencies. Most of our volunteers come from an animal/veterinary or emergency response background, but we welcome people from all backgrounds to join as there are many ways people can help. You will need to be over the age of 16 years, or between 14-15 years if your parent/guardian is volunteering with you also. Most importantly, you need to be conversant with, and agree to our Code of Conduct. Some roles may also require a police background check. Experience in disaster rescue (i.e. 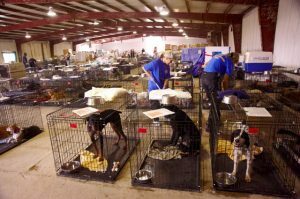 USAR and/or Flood) or advanced companion and/or large animal handling. Experience working with animals, preferably in a clinic or shelter environment. Those with specialised skills such as accounting, marketing, photography/video, media, fundraising, community engagement, law are all welcome to contribute to Animal Evac NZ, especially in non-operational periods. What happens after the foundation course? Once you have completed the foundation course, you will have met our minimum requirements to be operational subject to signing our Code of Conduct, police background check (if required) and validation of qualifications (if applicable). You will then be placed on our team management database known as D4H Decisions, which then allows us to SMS and/or email you with updates or emergency response instructions. We still have a bit of work to do around ensuring we have the right resources in place before we can deploy and integrating our capability into local emergency plans. You will be asked to help with local fundraising to ensure local capacities are developed, as well as invited to help with disaster risk reduction/education activities too. Helping out with these activities is really up to you and how much time you have available. 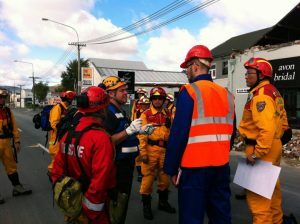 If there is a request for Animal Evac NZ to assist, from the emergency services or civil defence, a designated coordinator will be assigned to manage deploying a suitable team which may be selected based on required skills and qualifications. You will report to the designated coordinator, who will in turn liaise with the lead agency on site for instructions. If you are in an operational role, you will need to maintain your skills through annual refresher training or exercises which in most cases is less than 20 hours per annum.